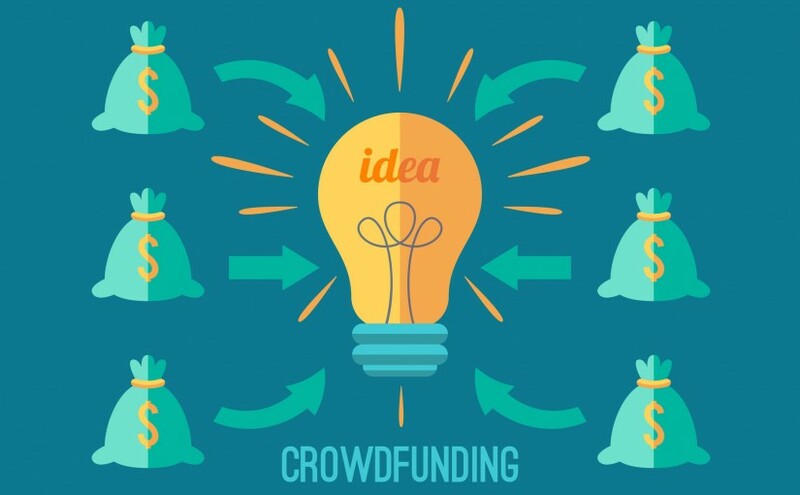 How to Fund Your Project or Organization with Online Crowdfunding! Most of us remember being in high school, and having people try to sell us candy bars at outrageous prices in order to fund their mission trips, charity organizations, abroad experiences, and other such things. I always remember being impressed at the commitment of people, and confused as to how they managed to raise enough money selling candy bars! Of course, in many of these cases, parents and family members were providing much of the funding. In this new era of interconnection through social media, it is easier than ever to raise money from your social circle using the internet. This kind of fundraising is called crowdfunding, and most of us know it best through Kickstarter. Kickstarter is a crowdfunding platform which allows people to generate funds for various projects. These projects range from the mundane such as this (for anyone who doesn’t feel like clicking on the link, that is a man trying to raise $15 to make a french toast pancake waffle) to the brilliant (the Pebble smartwatch) , to the truly disappointing and scandalous (the Yogventures video game). One cool aspect of Kickstarter is that only successful kick starters are able to keep the money. For instance, if your project requires $100, you must actually raise $100 dollars in order to be granted the money. If it is not successful, the money is returned to the donors. This leads people to be more likely to fund projects, as they know that if the project is not fully funded, the creators will not abscond with their cash. In addition, many Kickstarters include rewards to people based on how much they donate. For example, a video game development project might give a cool exclusive skin to people who donate $5, a signed copy for people who donate $30, and a studio tour for people who donate over $1,000. Crowdfunding does not need to be limited to projects and startups. For instance, if you are a member of an Registered Student Organization here at UMass, you may (ok you almost definitely do) find yourself thinking that you do not have enough money! Maybe you have a trip to go on, or an event you want to host, or equipment you need to buy. Crowdfunding is a great way to raise some funds! The UMass Minute Fund is a website which allows student groups on campus to crowdsource money. For RSOs, the Minute Fund is a better platform to raise money than places such as Kickstarter, because it does not take any cut of the money raised (as Kickstarter and other for profit companies do). This really works too! Here is a trip that I went on, funded by the Minute Fund. Here is the HackUMass Minute Fund (which was also fully funded). In short, when your organization is running out of cash, your social circle might be able to sponsor you. Create these pages, share them on Facebook, Twitter, etc, and watch the money for your organization roll in! This entry was posted in Operating System on July 12, 2017 by atikhomirov. Today we’re going to deal with an issue that I’m sure many of us run into on a daily basis: managing passwords. Given that you probably use a bajillion different services, each of which has its own password requirement, and given that UMass makes you change your password once a year, you probably have trouble keeping them all straight. Luckily for you, there is a tool you can use to keep your passwords tracked! For these tools, you can use one super strong password to keep all your other passwords safe, easily searchable, and all in one place. They can often be used to automatically fill in login info on the web. There are many password managers out there. You can find reviews of them simply by googling “password manager.” The ones I am going to mention here are the default chrome password manager, and Lastpass. The first and easiest one, Google Smart Lock is so ubiquitous that you’ve probably been using it all along! Any time your google chrome asks you to “save” a password, it gets stored in Google Smart Lock. If you want to see your passwords, or manually add new ones, simply go to “passwords.google.com” and log in with your (non UMass) Google account. Voila! You can see all of the passwords that you have saved while using Chrome. What about if you aren’t a Chrome user? Or maybe you don’t like the idea of Google storing your data… What can you do? You can use a manager like LastPass. This browser extension/mobile app can also keep your passwords safe and encrypted. You can even set up 2 factor authentication (so that you would have to have 2 devices on you to be able to see your saved passwords). You can find more information here: https://www.lastpass.com/how-it-works but it works in essentially the same way as Google Last Pass. You can save passwords, add new passwords, automatically fill out forms, etc. So get one of these managers, and never worry about forgetting your many many passwords again! This entry was posted in Operating System on June 14, 2017 by atikhomirov. Bored? Kill some time on the internet! You’re sitting in the airport waiting for your flight, and that flight is hours delayed! Beyond that, you’ve watched all your Netflix shows, and fiddled with all the apps on your phone, and now you’re bored! What do you do in this situation? Luckily, the internet offers almost endless websites with which to kill time! Some of them are educational, some of them are silly, with many others falling somewhere in between. The first place many people will go when they’re bored and on the internet is, of course, reddit. 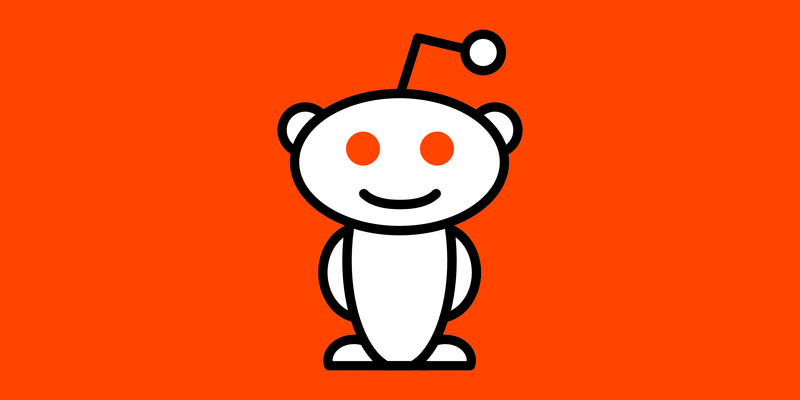 Reddit is a forum of sorts which markets itself as “the front page of the internet.” It is fairly simple to understand. The site is subdivided into different boards called “subreddits,” usually denoted by “/r/[subreddit name]” after reddit.com. There is a vast quantity of subreddits, one for almost any area of interest. Even UMass has a subreddit (though admittedly it’s not terribly active)! What makes this especially cool, is that it means there is a community for almost anything you might be interested in. For instance, if you saw the new Harry Potter movie and have tons of theories you want to discuss, you might want to go to the Harry Potter subreddit, and you will find that you can have interesting conversations with tons of strangers who are into it! If you are really into history, you can have your questions answered by historians. Finally, one thing that often drives new users away from the website is its appearance. Reddit was launched in 2005 and has not functionally changed much since then. Thus, it can be a bit of an eyesore when one first gets to it. Have no fear though, once you get used to the site’s quirks, it becomes much more manageable. Reddit uses an up vote/downvote system to allow users to help sort which content is seen first by other users. Once you register for an account, you can use the arrows on the left side of posts to vote yourself! At the top of the page, there is always a way to sort the board you are looking at, usually “new,” “top,” “best.” These methods allow you to sort which content you are looking at. Finally, one thing that is almost essential to browsing reddit is the Reddit Enhancement Suite. This is a chrome extension which makes some of the more annoying features of the website less annoying. We have a whole blog post which goes over using RES! This entry was posted in Operating System on January 31, 2017 by atikhomirov. When was the last time that you turned on your television? For many of you, the answer is probably quite some time ago. Cable is dying, and most of us are switching to Netflix, Hulu, and Amazon Prime to satisfy our TV needs. Many of us are finding that our TVs have become obsolete in favor of our laptops. Those few who connect their computer to their TV in order to watch shows still have to deal with HDMI cables, and clunky controls. 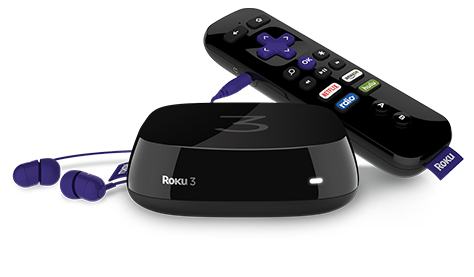 Lucky for us however, the era of Streaming Media Players has begun. These players are devices that you can hook up to your TV which allow you to stream content from various online websites (and in some cases even directly from your computer/phone). There are four main competitors in the Streaming Media Player market: Amazon Fire TV, Roku Box, Apple TV, and the Chromecast. The first two have a high powered “Box” version in addition to a lower powered “stick” version. Chromecast only comes in stick form, and Apple TV only comes in box form. 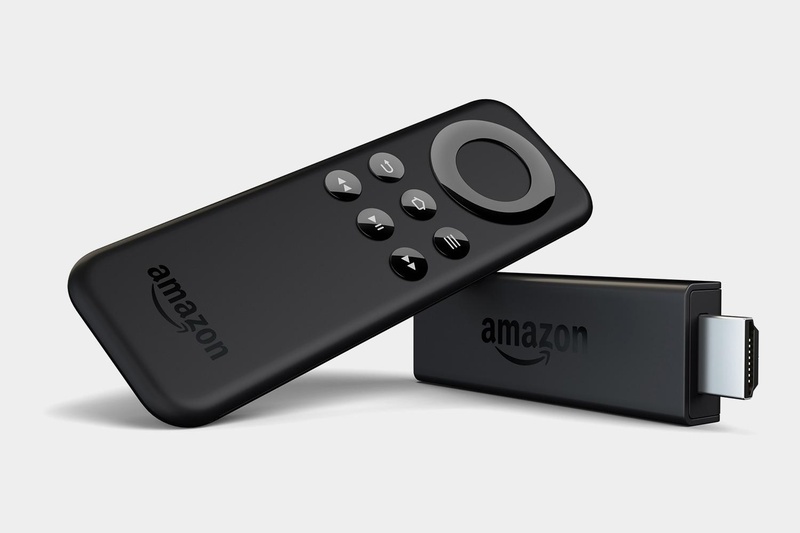 The Amazon fire TV costs $100 for the full box version, and $35 for the stick version. The box is more powerful and comes with an improved remote. Both of these devices will stream Netflix, Hulu, Amazon Prime, and hundreds of other websites and apps. It has a search feature that will search through all the apps that you have, however it will always prioritize Amazon services over those of other providers. In addition, one major downside of the Amazon Fire service is that it does not support any kind of screen mirroring (when the device directly replicates your computer screen on the TV) except from the Amazon Fire Tablet or phone. Nevertheless, for $35 you can buy the stick which comes with a remote and turn your TV into a smart TV. 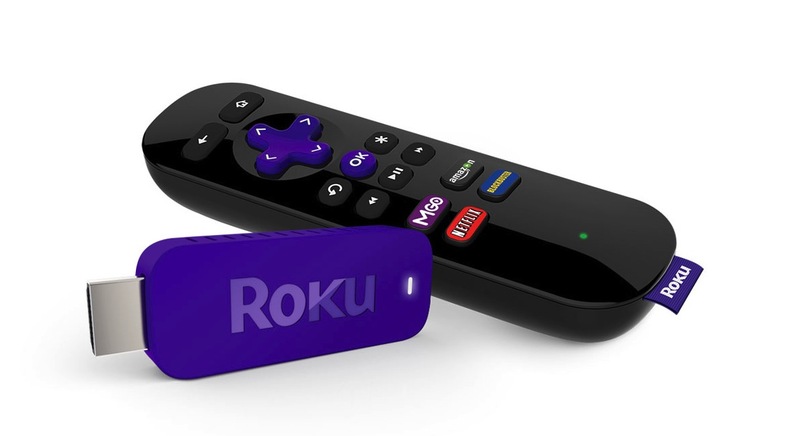 The Roku Box is the most powerful streaming player on the market. At $90 for the box, and $40 for the stick this device brings the most apps and services to the consumer. It allows you to use all of the major streaming services and also allows for screen mirroring for the widest range of devices. The Apple TV which is $66 comes only in full Box form. It arguably looks more sleek than it’s competitors, and seamlessly integrates into an Apple environment. To those who already have a slew of apple devices (especially a Macbook) and who use iTunes frequently for media, the Apple TV is a great choice. It has slightly less functionality than the two listed above. It does not connect to Amazon Prime Instant Video, and can only mirror Macbook screens. Regardless, it is still an excellent player. The final major competitor in the streaming media player market is the Chromecast. It is manufactured by Google and ships for $35. The Chromecast has evolved far beyond its original form. Whereas it originally shipped with only youtube and Netflix, the Chromecast now supports the same slew of apps and services that the other players support (with the notable exception of Amazon Prime). The area where this device shines however is screen mirroring. Through an extension, the Chromecast is able to project any Google Chrome tab onto the TV. This can even be used to circumvent some of the app limitations that are present (for instance one can use the screen mirroring service to watch Amazon Prime though their Chrome tab). One major downside of this device is its lack of remote. It is controlled entirely though your phone or computer, forcing you to type your passcode in any time you want to pause or rewind what you are watching. Should you get the stick forms of these devices or the full box form? This is personal preference. The boxes are more expensive and are significantly faster. However, many of them do not have a significant advantage in features over the stick forms of the device. For people on a budget, sticks are the best option. The boxes have a distinct advantage in the form of an Ethernet port, which the sticks do not have, and which provides a more steady connection for your entertainment. NONE of these devices will function on the eduroam or UMASS networks. The boxes can be connected to the Ethernet ports in North Apartments, which is the only residential area on campus. So for now, unfortunately, if you live on campus and not in North Apartments, none of these sticks will work for you. This entry was posted in Operating System on June 24, 2015 by atikhomirov.